As you may know, I’m the Adventure Blogger for Bald Head Island Limited’s blog, The Island Times. What you may not know is that I also write for their magazine, haven. 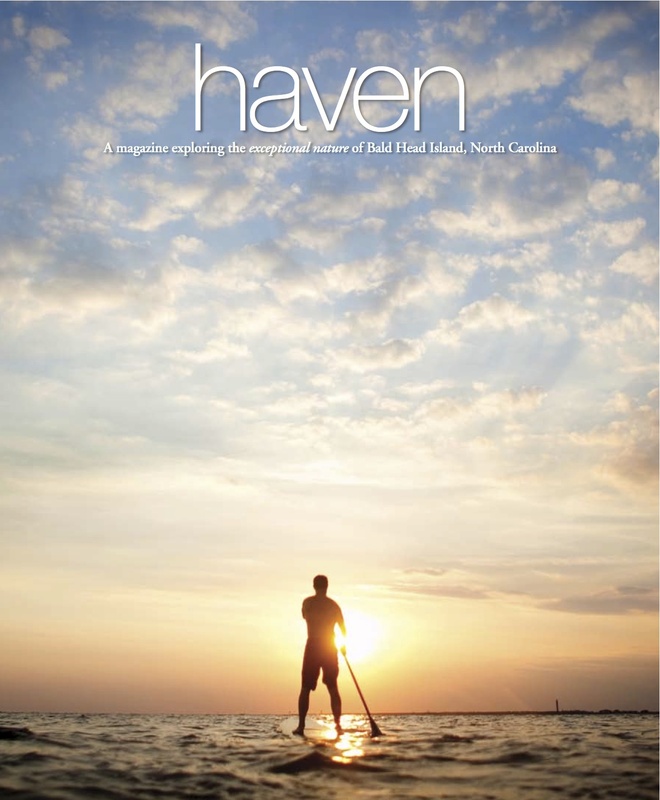 Take a peek at haven, Bald Head Island's lifestyle magazine and visitor's guide. I have two stories in there. haven comes out once a year and includes stories of the people, places and things that make Bald Head Island a great place to visit; it also includes rental and event information to help you plan a visit. You can visit Bald Head Island Limited’s site here and order a hard copy, or save some trees and read my stories on the online version of haven. Flip through the magazine, but be sure to stop at pages 26 and 116 for my stories. On page 26 you’ll find a piece about standup paddleboarding, a new sport taking the world by storm. This was photographed by the awesome team at Millie Holloman Photography (there’s also a story about Millie and her family in this issue, written by my lovely wife) and the shots look great. In The Last Word, on page 116, I explore what it means to be silent and find silence on Bald Head Island. The story was inspired by Gordon Hempton’s book One Square Inch of Silence. You may find my take on that interesting. Happy reading, and be sure to come back and look for more of my adventures on Bald Head Island throughout the year.